“Right from the start, the United States asked through its ambassador in Iraq whether we could cooperate against Daesh,” Iran’s supreme leader Ali Khamenei said in a statement on his official website, using the Arabic acronym for IS. “I said no, because they have dirty hands,” said Khamenei, who has the final say on all matters of state in the Islamic Republic. “We are not and will not coordinate militarily… There may be another opportunity on the margins in the future to discuss Iraq,” US State Department spokeswoman Jen Psaki told reporters shortly after Khamenei’s statement. Washington had appealed for help from all regional states against the jihadists, who spearheaded a lightning offensive through the Sunni Arab heartland north and west of Baghdad in June and then unleashed a wave of atrocities against ethnic and religious minorities. But last week Kerry ruled out cooperation with Tehran citing its “engagement in Syria and elsewhere”. Tehran has been the main regional ally of the Damascus government throughout a three-and-a-half-year armed revolt against Assad. It strongly criticised President Barack Obama’s announcement last Wednesday that he had authorised US air strikes against IS targets in Syria without the consent of Damascus. Khamenei predicted the US-led coalition against IS would prove as ineffective as the so-called “Friends of Syria” international conferences held as a show of solidarity with anti-Assad rebels. 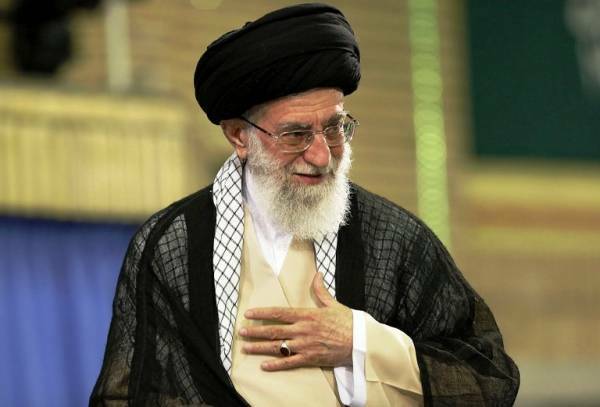 “The alliance against Syria… didn’t manage to do anything, and it will be the same thing in Iraq,” said Iran’s leader. In Paris, the world’s top diplomats pledged to support Iraq in its fight against IS militants by “any means necessary”, including “appropriate military assistance”. Representatives from around 30 countries and international organisations, including the United States, Russia and China, took part. The coalition has divergent interests, with “Turkey treating Daesh leaders in its hospitals, Qatar financing them, and with Saudi Arabia which helped set them up in Syria,” Iranian analyst Amir Mohebian told AFP.